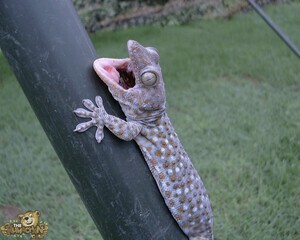 Here’s a little lizard in Thailand. I’m not sure if it was a really big gecko or just some sort of lizard, but it wasn’t exactly what people wanted to see when they went in to use the restroom. 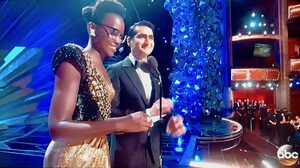 Elvis Has Left the Building at the Oscars. Let the party get started and head over to the Governor’s ball. 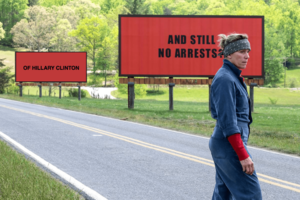 Hollywood will never admit it, but they love the Trump brand. Hillary Clinton has committed many atrocities and still needs to be held accountable for her actions. 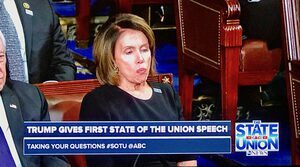 American’s are dreamers too. 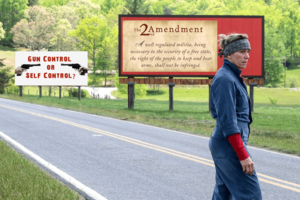 Why does Hollywood and liberals put foreigners before an American? 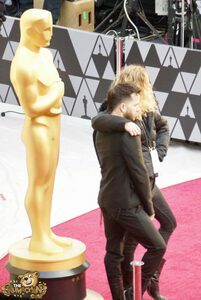 You never know what people will wear on the red carpet. Would you take a look at the size of those earrings? 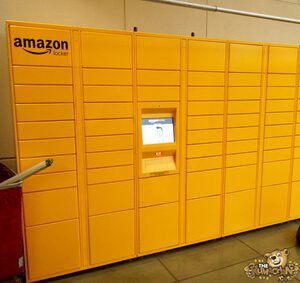 In case you didn’t know it Amazon has their lockers just outside the Dolby Theater and behind the scenes of the Oscars for people to store their things. 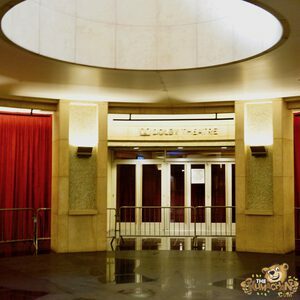 Have you ever wondered what it is like to walk the red carpet? These lovely ladies got to know exactly what that feels like. Will it be funny? Will it be political? Will it be for world peace? Will it be to help some third world country? 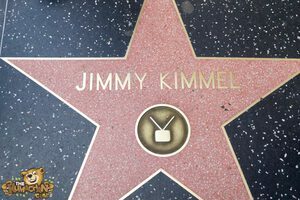 No matter what the angle it is time for Hollywood to start helping to making America Great Again! 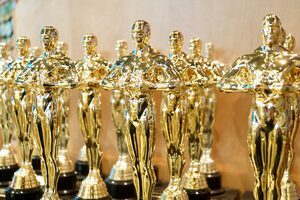 Is there time to catch a quick tour before the Oscars start? 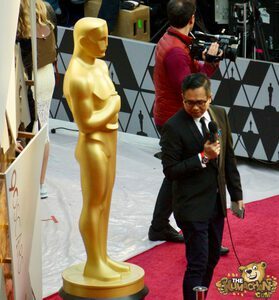 Where am I to stand on the red carpet? Guests are making their way in and getting photos taken on the red carpet. 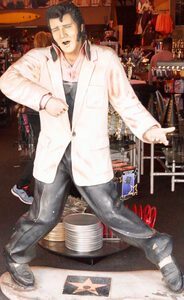 Everybody likes to get their photo taken with a 7 foot tall faux statue. 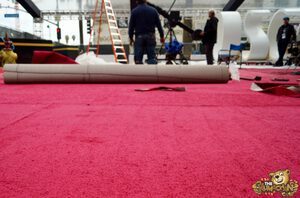 The red carpet has been rolled out. The curtains have been hanged. The stage is set for the gala event to commence. 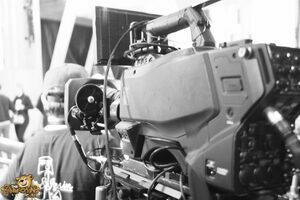 Join us to for periodic updates about different events throughout the day. 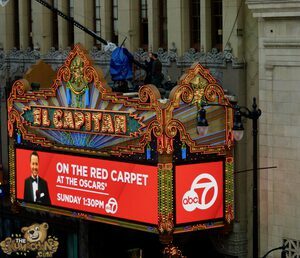 The El Capitan Theater is ready for “On the Red Carpet” to begin in preparation for the 90th Oscars that is being hosted by Jimmy Kimmel. 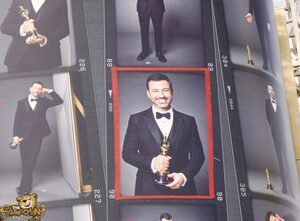 Jimmy Kimmel is getting ready and practicing for hosting the 90th Academy Awards tonight on ABC at 8 P.M. Easter/5 P.M. Pacific. Don’t go walking off the beaten path. 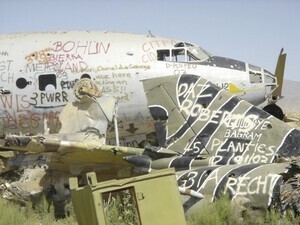 You might find more than you bargained for. 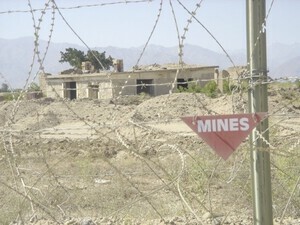 In this instance here was a hut that had some mines that needed to be cleared. Here are some items you don’t want to find out on a night mission. 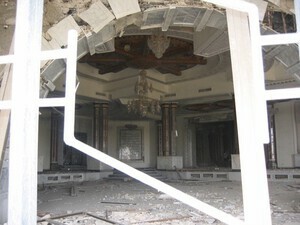 Here is one of Saddam Hussein’s palaces in Iraq after the U.S. military came in and crashed his party. 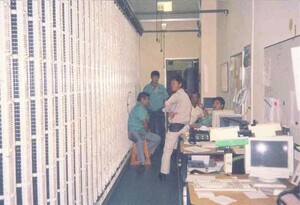 Here are some of the local national guys who work as part of the telephone switch at Kadena air base in Okinawa. You can see the main distribution frame on the left. In Thailand street vendors will sell you anything. 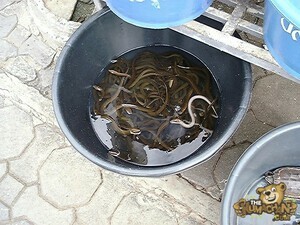 Here one has a nice bucket of eels to sell. Yummy! 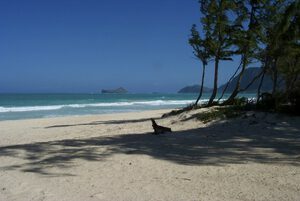 Bellows Air Force Station is one of my favorite beaches on the island of Oahu in Hawaii. If you want to go body boarding or just spend the day at the beach, this is a nice perfect sandy beach to do so. 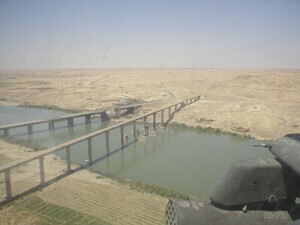 Arial view from an attack helicopter of the destroyed Bayji bridges in Iraq. 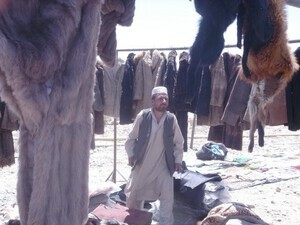 Here are some photos of a bazaar in Iraq. 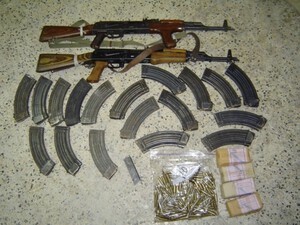 It shows some of the stuff that was being bartered. 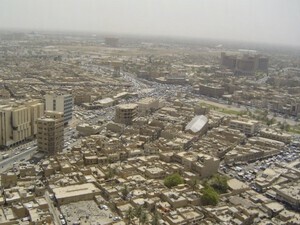 Here are a couple arial view photos of Baghdad and one of a palace in Iraq. 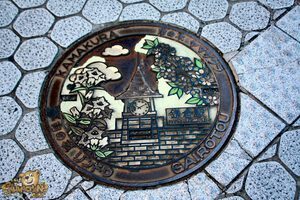 I had a very pleasant time walking around Enoshima and taking all the sights, views, and food that there was. 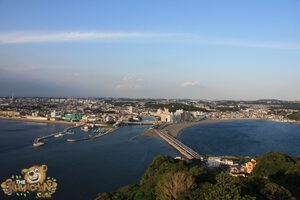 The small island gives you some really nice panoramic views, as well as, having the opportunity to take in the local Japanese culture. 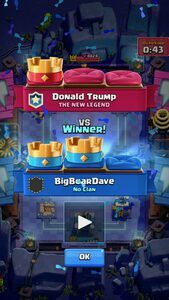 Look who I just beat in Clash Royale. 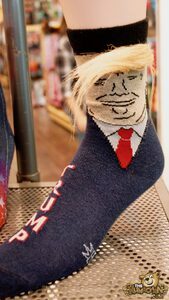 Looks like Donald Trump needs to practice a bit more to get up to my level. 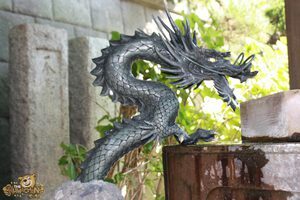 Walking around at Enoshima, Japan I came across this dragon water spout. I’ve never seen anything like this before and thought it was pretty darn cool. 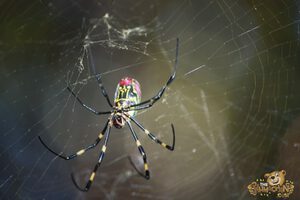 While walking around Kamakura I saw these spiders and thought they looked pretty cool. I hope if you’re going to visit Japan you don’t have arachnophobia, otherwise that could be problematic. 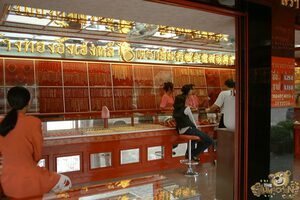 Some of the great beauties in Japan are the shrines and temples. 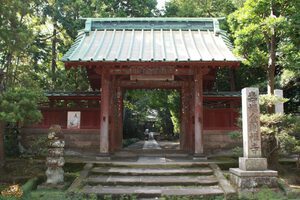 Here is a shrine seen at Enoshima, Japan. I like the way you go through the doorway up the path to the shrine or temple. This is kind of gives the effect of walking on the path to enlightenment. Can you guess what kind of equipment this is? 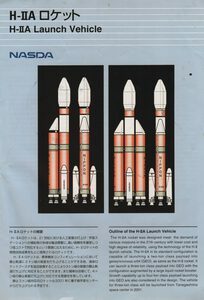 Click here to download the full NASDA Communications and Broadcasting Engineering Test Satellite text This is a pamphlet I picked up at the National Space Development Agency of Japan (NASDA) museum when I was in Okinawa, Japan. 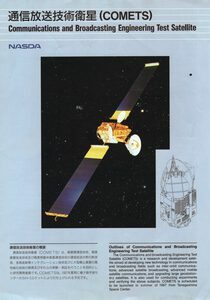 This pamphlet is about the Communications and Broadcasting Engineering Test Satellite (COMET) satellite. 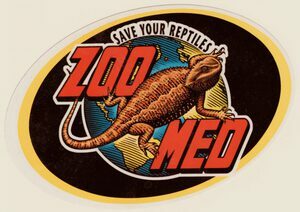 I received a sticker in the mail for Zoo Med. The funny thing is that I’ve never bought anything from these guys and I don’t ever remember requesting a sticker. 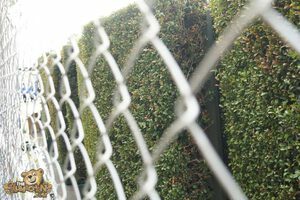 If you have a pet or a reptile hopefully this can help you. 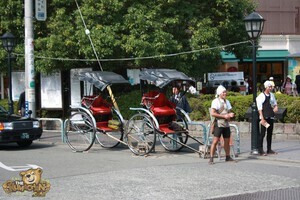 In Japan you may see rickshaws pulling people around as a means of transportation. 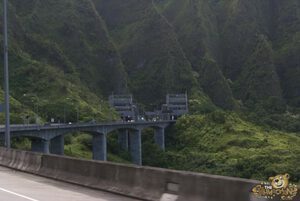 They look like a fun way to see the area. 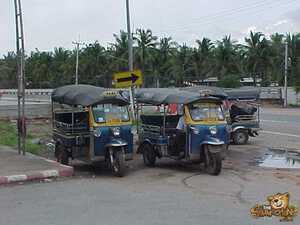 You can find elephants all over in Thailand. 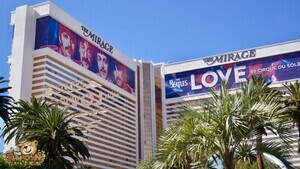 Walked down the Las Vegas strip to the Mirage hotel and casino.